Draft: 2015, Chicago White Sox, 1st rd. Married Sabina … Twitter: @Carson_Fulmer … Instagram:@carson_fulmer51 ... Attended Vanderbilt University, where he went 23-3 with a 1.99 ERA (57 ER/258.0 IP), four complete games and 298 strikeouts over three seasons (2013-15) ... Was named Southeastern Conference Pitcher of the Year and one of four finalists for the USA Baseball Golden Spikes Award as a junior in 2015 after going 13-2 with a 1.82 ERA (23 ER/114.0 IP), two shutouts, three complete games, 152 strikeouts and a .186 opponents average over 17 starts ... Became just the fourth pitcher in SEC history and first since Tennessee's Luke Hochevar in 2005 to win the pitching triple crown, leading the league in wins, ERA and strikeouts ... Helped lead the Commodores to their third College World Series berth in 2015, where they were runner-up to Virginia … won Game 1 of the CWS final, holding Virginia to one run on two hits with eight strikeouts over 7.2 IP ... Led Vanderbilt to the 2014 CWS title … started the deciding Game 3 of the finals against Virginia on three days rest, allowing two runs (one earned) on five hits over 5.1 IP of a no decision ... Also won the following honors at Vanderbilt: First Team All-American by Baseball America and Louisville Slugger (2014), All-SEC Second-Team and All-Defensive Team (2014), All-American by Collegiate Baseball and All-SEC Freshman (2013) and SEC Academic Honor Roll selection (2013-14) ... Is a 2012 graduate of All Saints Academy in Lakeland, Fla. … is from the same hometown as Chris Sale … was selected by Boston in the 15th round of the 2012 draft but did not sign. Opened the season in the White Sox starting rotation before finishing the year with Class AAA Charlotte ... Made eight starts (two quality) and one relief appearance with the Sox ... Posted a no decision in his season debut on 4/4 at Toronto, allowing three runs on five hits and five strikeouts over 5.0 IP … lost his home debut on 4/10 vs. Tampa Bay, giving up four runs on five hits with six walks and two hit batters ... 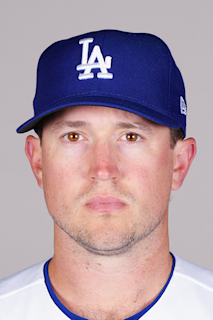 Worked 1.1 IP in relief on 4/20 vs. Houston … was his scheduled sideline day … threw just 1.0 IP in his previous start on 4/18 at Oakland (game lasted 14 innings) ... Won consecutive starts for the first time in his career on 4/23 vs. Seattle (2 ER/6.0 IP) and 4/28-1 at Kansas City (career-high7.0 scoreless IP) ... Yielded four home runs over 3.2 IP in a loss on 5/4 vs. Minnesota the most by a Sox pitcher since Carlos Rodón on 7/19/17 vs. the Dodgers ... Was optioned to Charlotte on 5/18 after suffering the loss that night vs. Texas (8 ER/2.0 IP; 5 BB) ... Was 3-5 with a 5.80 ERA (29 ER/45.0 IP) and 41 strikeouts in nine starts with Charlotte and 2-1 with a 4.37 ERA (11 ER/22.2 IP) over 16 relief appearances ... Each of his first nine outings with the Knights were as a starter before moving to the bullpen for the remainder of the season ... Worked at least 1.0 IP in each relief appearance, including 2.0-plus IP in the final four from 8/18-9/1 ... Entered the season ranked by Baseball America as the No. 13 prospect and by MLB.com as No. 10 in the Sox organization. Spent most of the season with Class AAA Charlotte before finishing the season in the White Sox rotation...Went 2-1 with a 4.34 ERA (9 ER/18.2 IP), .200 opponents average (14-70) and 16 strikeouts over five starts with the Sox … also made two relief appearances (1-0; 1.93 ERA)...Posted two quality starts and allowed one run or less four times in five starts...Recorded a 1.59 ERA (2 ER/11.1 IP) in three road outings, compared to a 6.00 mark (8 ER/12.0 IP) at home (four games)...Limited left-handers to a .163 average (8-49) and righties to a .222 mark (8-36) … opponents batted .188 (3-16) with RISP and were hitless in six at-bats with RISP/two outs...Went 2-0 with a 1.56 ERA (3 ER/17.1 IP), 16 strikeouts, a 1.04 WHIP and .164 (10-61) opponents average over his final four starts...Was added to the roster as the 26th man for a doubleheader on 8/21 vs. Minnesota … made the start in Game 2 and suffered the loss, giving up six runs on four hits and three walks over 1.1 IP … was returned to Charlotte following the game...Was recalled by the Sox on 9/1 for the remainder of 2017...Worked 2.0 IP in relief for his first career win on 9/2 vs. Tampa Bay … earned his first career win as a starter on 9/10 vs. San Francisco, allowing just one run on three hits with a career-high nine strikeouts over 6.0 IP...Made his second straight quality start on 9/15 at Detroit but received a no decision (1 ER/6.0 IP)...Worked just 0.1 IP on 9/21 at Houston before leaving the game in the first inning due to a blister on his right index finger...Earned the win in his final start of the season on 9/30 at Cleveland, allowing just one run on three hits with two strikeouts over 5.0 IP … all three of the hits were singles...Made a team-high 25 starts at Charlotte … ranked third on the team in IP (126.0) and strikeouts (96)...Recorded a season-high eight strikeouts three times: 4/25 at Toledo, 5/12 at Louisville and 7/1 vs. Gwinnett...induced 14 GIDP, including three on 4/18 vs. Pawtuckett...Went 5-1 with a 2.72 ERA (12 ER/39.2 IP) and four quality starts over his first seven starts of the season … recorded a career-best, four-game winning streak from 4/18-5/12...Went 1-6 with a 7.32 ERA (51 ER/62.2 IP) over his final 13 starts … ended the season on a three-game losing streak (five starts)... Finished the season ranked by MLB.com as the No. 9 Prospect in the White Sox system...Entered the season ranked by Baseball America as the No. 7 Prospect and by MLB.com as the No. 5 Prospect in the Sox system … ranked by MLB.com as the No. 58 Prospect overall. Spent most of the season in the minor leagues but made eight relief appearances in his first season with the White Sox. His contract was purchased from Birmingham on 7/15 … made his major-league debut on 7/17 at the Angels, working 2.0 scoreless IP with two strikeouts … recorded his first career strikeout (Albert Pujols) to open his first inning. Suffered his first career loss and blown save on 7/22 vs. Detroit (3 ER/0.2 IP) and allowed four runs over 0.1 IP in his next outing on 7/27 at the Cubs. Threw 2.1 scoreless IP on 8/7 vs. Baltimore … suffered his second loss on 8/11 at Kansas City despite working a career-high 3.0 IP … allowed two runs on three hits, including a game-tying, RBI triple to Cheslor Cuthbert in the sixth. Was optioned to Charlotte on 8/16. Went 6-10 with a 4.63 ERA (53 ER/103.0 IP), 104 strikeouts and a 1.48 WHIPin 21 starts between Birmingham and Charlotte. Opened the season in the Barons rotation and made 17 starts (seven QS) … limited left-handers to a .212 average (31-146). Earned his first win on 4/23 at Chattanooga (6.0 scoreless IP) … struck out 10 batters on 6/9 vs. Mobile and 7/6 at Chattanooga. Was 2-1 with a 0.95 ERA(2 ER/19.0 IP) and 22 strikeouts over his final three starts with Birmingham (two scoreless outings). After giving up six runs in 1.0 IP in his Charlotte debut on 8/19 at Gwinnett, went 2-0 with a 0.60 ERA (1 ER/15.0 IP) and 14 strikeouts over his final three outings with the Knights. Worked 5.0 perfect IP with five strikeouts on 8/28 at Norfolk … allowed seven hits in 6.0 scoreless IP on 9/3 vs. Norfolk. Entered the season ranked by BaseballAmerica as the No. 2 Prospect and Possessing the Best Curveball in the Sox system. Also was tabbed by MLB.com as the No. 2 Prospect in the Sox system, the No. 42 in baseball and ninth-best RHP prospect. Combined to go 0-0 with a 2.05 ERA (5 ER/23.0 IP) and 26 strikeouts in nine starts between the AZL White Sox (one) and Class A Winston-Salem (eight) in his first professional season ... Made his professional debut on 7/18 vs. the AZL Angels, allowing one hit with one strikeout over 1.0 scoreless IP ... Worked 2.0 scoreless IP in his Dash debut on 7/23 vs. Carolina … gave up three runs over 2.0 IP on 7/29 vs. Wilmington ... Rebounded to post a 1.00 ERA (2 ER/18.0 IP) over his final six starts, allowing 11 hits with 19 strikeouts … four of the outings were scoreless and allowed one run in the other two ... Threw 3.0 scoreless IP on 8/9 vs. Salem and 8/15 at Salem … also threw 3.0 scoreless IP with four strikeouts in each of his final two starts on 8/28 vs. Frederick and 9/3 at Wilmington ... After agreeing to terms with the Sox on 7/3, donated $10,000 to Chicago White Sox Charities to support five players from the club's Amateur City Elite program … Ronell Coleman, his teammate at Vanderbilt, played in the ACE program ... Entered the draft rated by Baseball America as the No. 2 prospect among RHP and the No. 6 prospect overall … also was ranked by MLB.com as the No. 3 overall prospect ... Was recommended/signed by Phil Gulley (White Sox). April 18, 2019 Chicago White Sox recalled RHP Carson Fulmer from Charlotte Knights. April 9, 2019 Chicago White Sox optioned RHP Carson Fulmer to Charlotte Knights. April 8, 2019 Chicago White Sox recalled Carson Fulmer from Charlotte Knights. March 18, 2019 Chicago White Sox optioned RHP Carson Fulmer to Charlotte Knights. October 1, 2018 Chicago White Sox recalled Carson Fulmer from Charlotte Knights. May 19, 2018 Chicago White Sox optioned RHP Carson Fulmer to Charlotte Knights. September 1, 2017 Chicago White Sox recalled Carson Fulmer from Charlotte Knights. August 22, 2017 Chicago White Sox optioned RHP Carson Fulmer to Charlotte Knights. August 21, 2017 Chicago White Sox recalled Carson Fulmer from Charlotte Knights. March 21, 2017 Chicago White Sox optioned RHP Carson Fulmer to Charlotte Knights. October 3, 2016 Chicago White Sox recalled Carson Fulmer from Charlotte Knights. August 17, 2016 Chicago White Sox optioned RHP Carson Fulmer to Charlotte Knights. July 15, 2016 Chicago White Sox selected the contract of Carson Fulmer from Birmingham Barons. April 5, 2016 RHP Carson Fulmer assigned to Birmingham Barons from Winston-Salem Dash. January 26, 2016 Chicago White Sox invited non-roster RHP Carson Fulmer to spring training. July 23, 2015 RHP Carson Fulmer assigned to Winston-Salem Dash from AZL White Sox. July 13, 2015 RHP Carson Fulmer assigned to AZL White Sox. July 3, 2015 Chicago White Sox signed RHP Carson Fulmer.